INFA RIOT: BEST OF THE EIGHTIES! UK82 punk legends INFA RIOT have their output anthologised on a new compilation out next month! 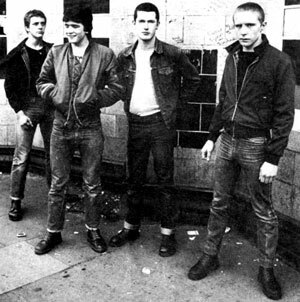 Veterans of the seminal Strength Through Oi compilation, the North London quartet were endorsed by THE ANGELIC UPSTARTS, their debut single ‘Kids Of The 80s’ reaching No.2 in the UK Indie Chart and their debut album Still Out Of Order spending a month on the Album Chart proper, reaching a decent No.42. Releasing three more singles and a second album, they split in 1985, but reformed in 2011 and continue to be a reliable punk draw, both in the UK and across Europe. The Best Of Infa Riot comprises twenty of the band’s highlights, including all their original singles. Set for release on 19 February through Westworld. It’s available to pre-order here. Check out ‘Kids Of the 80s’. ‹ NEW ROSE, NEW FESTIVAL!